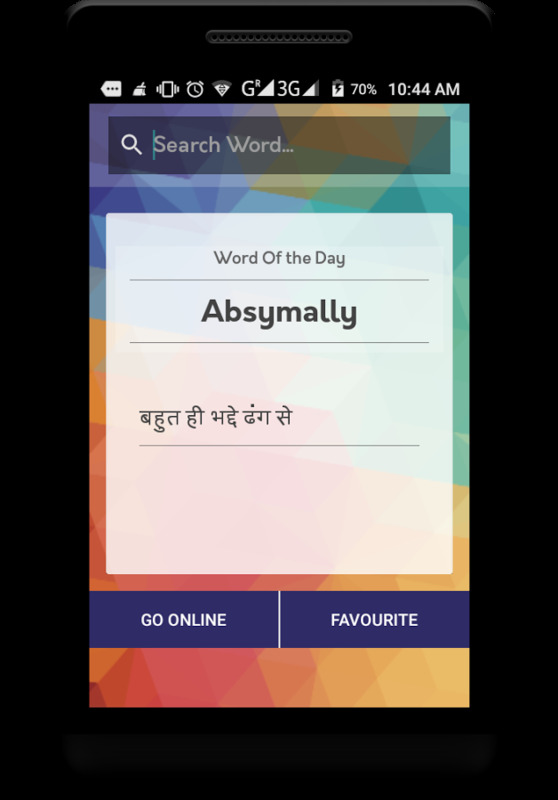 Meaning of words are provided with definition. 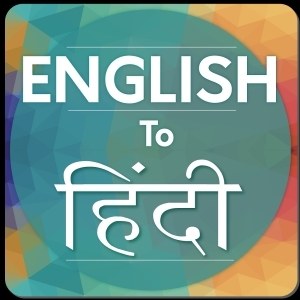 One can listen pronunciation of Hindi and English words to read and speak words properly. 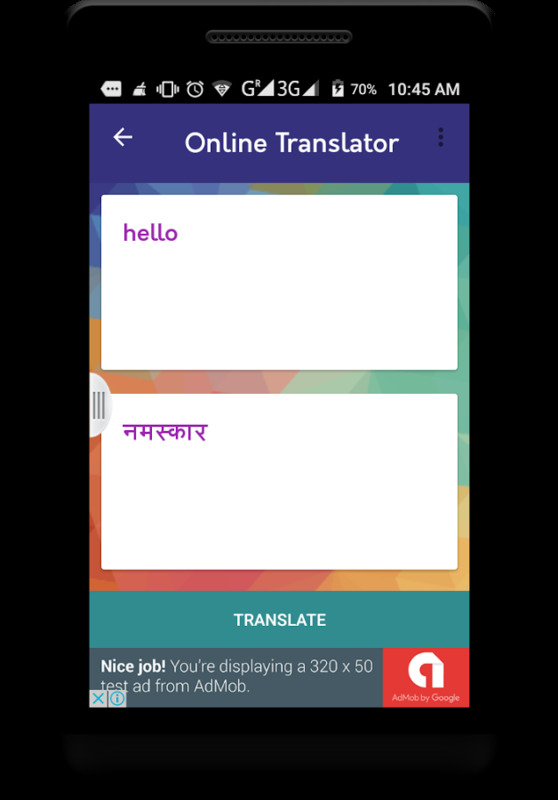 =>Translate text, word or sentence from Hindi to English or from English to Hindi language. 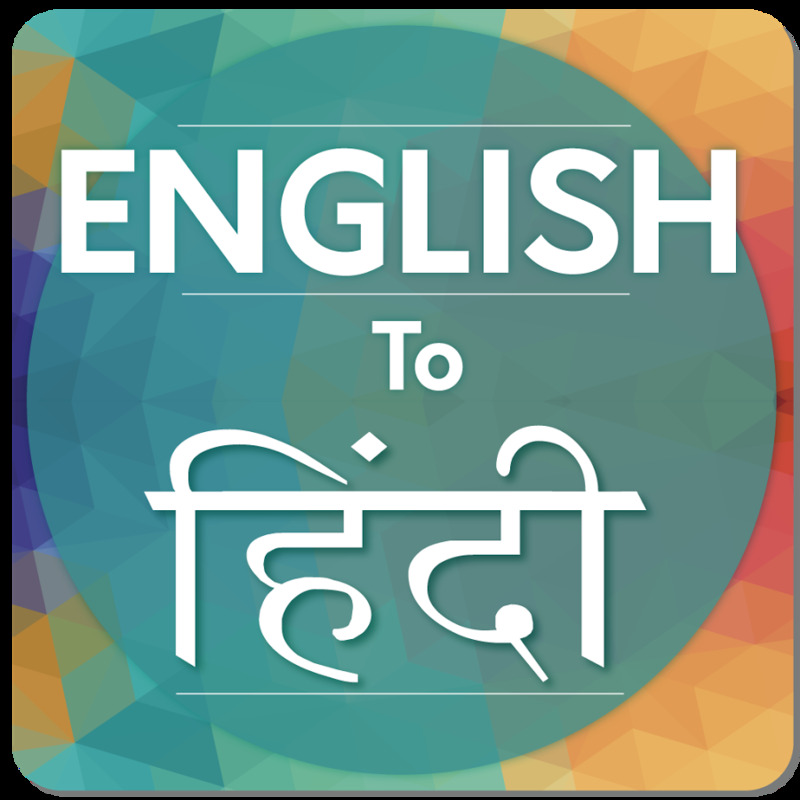 =>Most suitable and easy to use English Hindi Translator specially made to type directly in Hindi and translating to English. 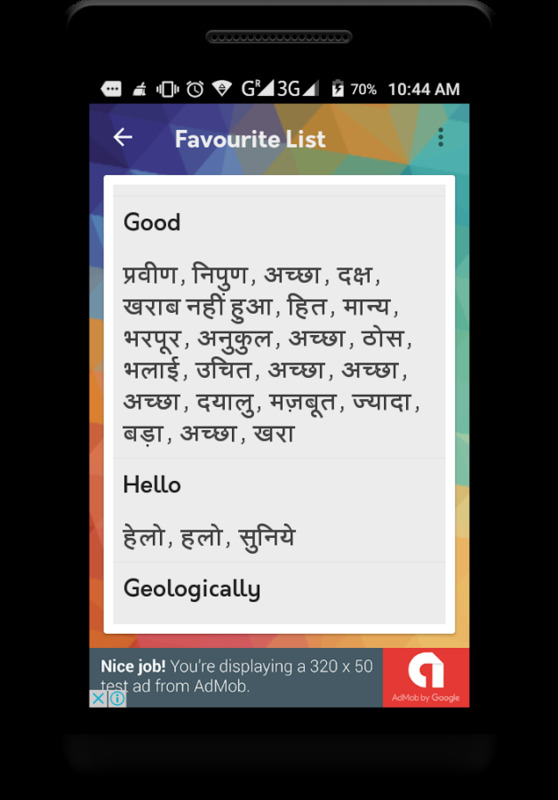 =>Direct sharing of translated data.